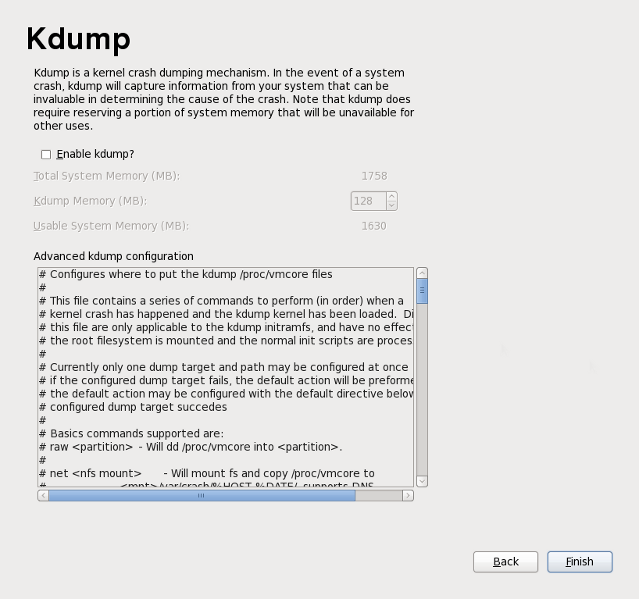 Use this screen to select whether or not to use Kdump on this system. 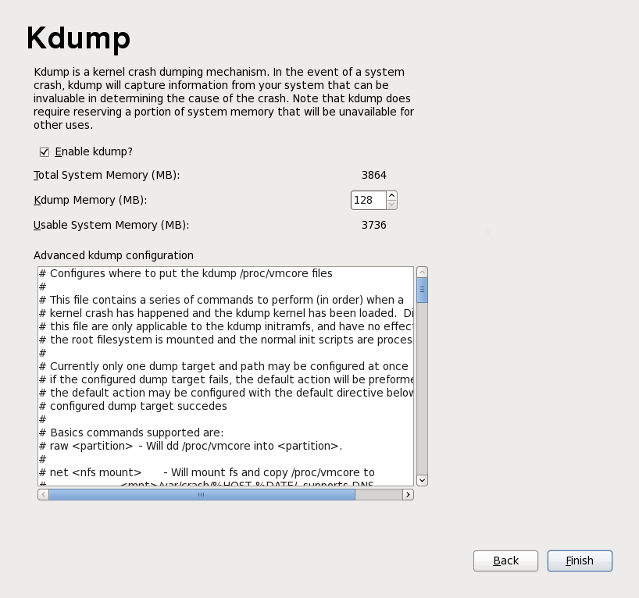 Kdump is a kernel crash dumping mechanism. In the event of a system crash, Kdump will capture information from your system that can be invaluable in determining the cause of the crash. Note that if you select this option, you will need to reserve memory for Kdump and that this memory will not be available for any other purpose. If you do not want to use Kdump on this system, click Finish. If you want to use Kdump, select the Enable kdump option, then select an amount of memory to reserve for Kdump and click Finish.